Learn how you can integrate GBCI’s SITES v2 rating system into the development and ongoing maintenance of your projects. Register for our SITES Workshop at Greenbuild China on October 16, 2017. Traditional land development and use decisions often undervalue the benefits healthy ecosystems can provide to humans and their health and productivity. Developing land sustainably it is not only cost-effective, it is better for the land and fosters resiliency. Sustainable land development can minimize resource degradation, mitigate climate change, enhance human health and well-being and save valuable resources and money. As China and other Asian countries continue their leadership efforts on sustainability, looking beyond the building is crucial. 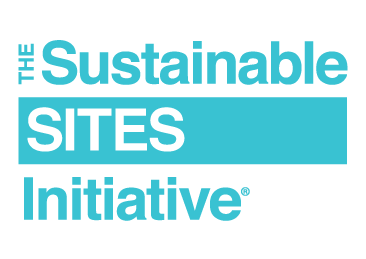 Modeled after LEED and administered by GBCI, the Sustainable SITES Initiative (SITES) defines what a sustainable site is and elevates the value of landscapes in the built environment. The SITES v2 Rating System is a set of guidelines and performance-based metrics that align land development and management with innovative sustainable design, covering areas such as soil, vegetation, water, materials and human health and well-being. To further drive this market change, GBCI has recently brought to market the SITES Accredited Professional (SITES AP) program, allowing practitioners to differentiate themselves as experts in sustainable land development. When: October 16, 2017, 9 a.m.–1 p.m. Explore the SITES v2 rating system with real-world project examples. Discover important connections and distinctions between SITES and LEED. Engage in live discussion and application of SITES strategies with active projects. You will be among the first in China to be able to speak to the value of SITES, understand the central rating system components and themes, identify the important steps for pursuing SITES certification and set a framework to start studying for the new SITES AP exam.